We sell gift certificates in any increment you would like. We can mail them for you with a note if you are unable to come in and purchase a gift certificate in person. Our gift certificates make great gifts for those who live here or are just visiting for a week! They are especially nice as a welcoming housewarming gift or a holiday present.! Please contact us if you have any questions. 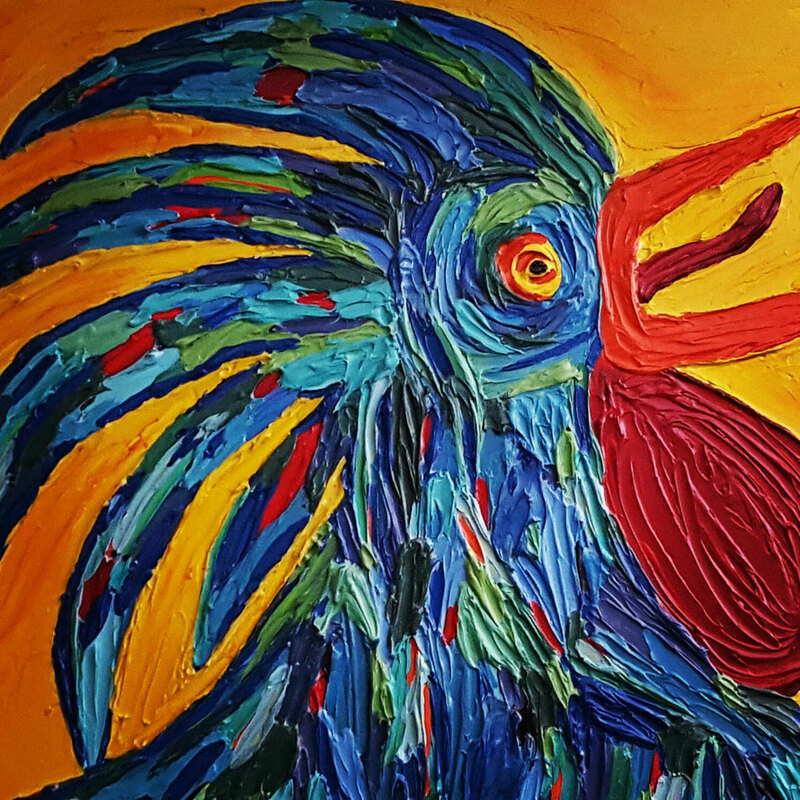 All of the artwork at Chanticleer Eatery is made right here in Grayton Beach by Emily one of the owners of Chanticleer. We can ship the art at an additional charge, however, most of our artwork is purchased right off our the walls by our guests. If you would like something custom please email chanticleereatery@gmail.com with your ideas. We just got your hopes up didn't we! We don't ship cookies right now. We haven't figured out a way to keep them fresh enough for the overnight delivery and then the same quality for a couple of days after they arrive at their destination. If you have experience with this and would like to give us some suggestions we would love the input! Hopefully shipping cookies will be coming soon!